Rowan University’s first annual Humans vs. Zombies kicked off Oct. 30 at the stroke of midnight. 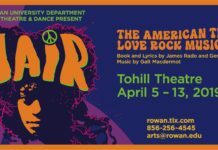 Organized by Rowan University’s Quidditch Team and Alpha Phi Omega, Humans vs. Zombies (HvZ) is a game of tag played at schools, camps, neighborhoods and conventions worldwide, recently infecting Rowan University. 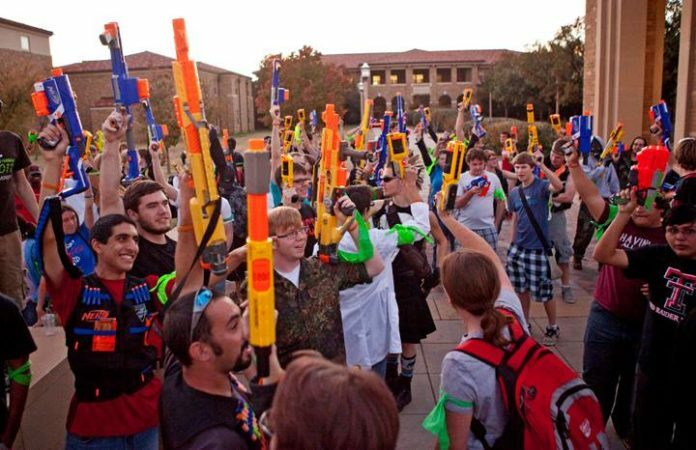 Using Nerf guns and other sock-based weaponry, players fight off hordes of the ‘undead,’ who increase their numbers by tagging human players. Zombies, however, had to ‘feed’ at least twice per day, tagging at least two players to ensure some sort of participation. If they didn’t, they’d be permanently out of play for the rest of the game. Getting people to come out for the first running of any event would usually be a challenge, but Watanabe remained optimistic. “I became the events chair for the Quidditch Club and thought I could definitely pull this off, [since] I’m surrounded by a bunch of nerds and they’re going to be so excited for this,” Watanabe commented about her fellow Quidditch Club members. While there were only 58 people who ended up registering and participating, Watanabe and her co-moderator Erin Flynn were enthusiastic about the event going off without a hitch. For humans, they received a green headband prior to the start of the game to be worn on their arms at all times, while zombies had to wear theirs on their heads at all times as well. Throughout the game, players on both sides used messaging apps like GroupMe to plan out ambushes and raids. There were also a handful of special zombies who had unique powers beyond the realm of just tagging human players. The Zedic, who could revive downed zombies instantly, gave players an edge when hunting in a group. The Tank, who could only be stunned by sock based weaponry, was especially dangerous, taking Nerf out of the equation. The Wraith, who could use sock based weapons to tag players, was incredibly hard to get close to and take out of the game. All three, while working in conjunction with the undead hordes, made for a lethal combination. Junior biomedical engineering major Mason Weems ended up becoming the Wraith at the start of the game. “Being the Wraith is a lot fun, [but] I wish I had more kills involving this,” Weems said, gesturing to his longboard. Players could also use non-motorized transportation to scout out or tag players, so long as no one got hurt. “Most of mine were close kills but I love using the socks… I can’t wait to take someone out tomorrow,” Weems added. The game itself ran until Nov. 1 at midnight, but that didn’t stop survivors and the growing undead horde from duking it out until the very last day of regulation. Lol, this is a picture from Texas Tech Circa 2014-2015 or so. Couldn’t you at least just have gotten a picture from the correct school?